By Dr. Brendon Cannon and Dr. Ash Rossiter. - Brendon Cannon is Assistant Professor at Khalifa University’s Institute of International and Civil Security (IICS), Abu Dhabi, UAE. Dr. Cannon’s academic specializations are in the changing balance of power in the wider Middle East region – particularly the Horn of Africa; energy politics, policy and security (GCC and Northeast Asia); and international security. - Dr. Ash Rossiter is an Assistant Professor in International Security within the Department of Humanities & Social Science at Khalifa University of Science & Technology. Dr. Rossiter’s current research lies at the intersection of technological change and global security with special regard to the utility of military force international affairs. In the Horn of Africa, the Republic of Somaliland has functioned as an independent country for close to three decades. It has held multiple elections, seen four presidents take office, prints its own money and issues its own visas, and its capital city, Hargeisa, houses two parliamentary bodies that pass and enact laws. However, it remains an unrecognized country and is viewed by the rest of the world’s states as part of the Republic of Somalia with its capital in Mogadishu. For almost an equally lengthy time, Ethiopia has been landlocked and completely reliant on its neighbors, particularly Djibouti, for imports and exports. This occurred when Eritrea broke away from Ethiopia in 1993, thereby resulting in Ethiopia’s loss of a lengthy coastline and ports. This has greatly complicated Ethiopia’s rise as a regional power and hampered the development of its 102 million people. The situation in the Horn of Africa is changing rapidly, however. In a recent article published in Rising Powers Quarterly, we sought to demonstrate how Ethiopia and Somaliland have been able to advance their interests by taking advantage of the recent involvement of various Arab Gulf States (Bahrain, Kuwait, Oman, Qatar, Saudi Arabia, and the United Arab Emirates) in the Horn of Africa’s coastal zone. This is affecting the regional distribution of power to its advantage and reducing its dependency on Djibouti’s port for imports and exports through the refurbishment, development and use of other, regional ports: Port Sudan in Sudan, Berbera in the Somaliland region of Somalia, and Mombasa in Kenya. It is the development of the port of Berbera that has proved the most radical in terms of challenging regional power dynamics as well as international law. From a geostrategic perspective, Ethiopia’s interest in Berbera is obvious. Of the three ports, Berbera is closest to Ethiopia proper and offers the potential of opening up the vast, albeit isolated eastern region of Ethiopia to trade, particularly in the export of livestock and agriculture. Yet because the port is located in the de-facto independent Republic of Somaliland, both Ethiopia and Somaliland have experienced difficulty in attracting investors and port operators on account of the political and legal headaches associated with doing business in Somaliland. For Somaliland, development of the port would not only bring in much needed investment and jobs, but a deal signed by Hargeisa would show tacit, albeit obvious international support for Somaliland’s independence from Mogadishu. For Ethiopia, the development and expansion of the port of Berbera fundamentally support the primary pillars of Addis Ababa’s regional policy that support its aspirations for regional hegemony and are deemed essential to its very survival and indivisibility. The first involves maintaining Eritrea’s isolation in order to weaken it to the point that it implodes, is formally reunited to Ethiopia or becomes a pliant, client state. The second pillar rests on maintaining the status quo in post-civil war Somalia. Simply put, a weak and fractured Somalia means that Ethiopia can concentrate its attention and forces on quelling persistent internal security difficulties and continuing to isolate and pressure Eritrea. Ethiopia has, until recently, been assisted in its goals vis-à-vis Somalia as much by the international community as by internal problems within Somalia. 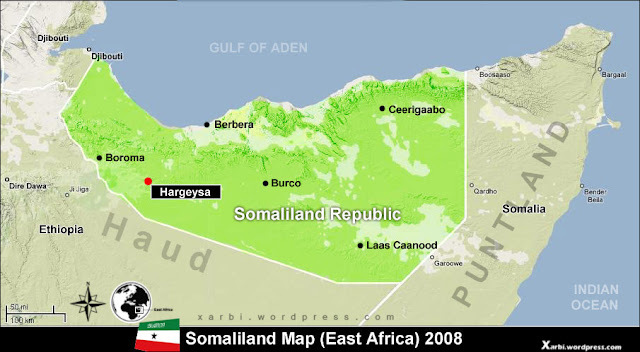 The cross-purposes of the international community coupled with and reinforcing political instability in Somalia, particularly in the capital Mogadishu, have resulted in the inability of the Somali Federal Government (SFG) to do anything substantive about the de-facto independent Republic of Somaliland as well as the almost entirely autonomous northeastern region of Puntland. Ethiopia has eyed the development of and access to the port of Berbera against this backdrop. However, Addis Ababa found itself unable to fully exploit opportunities to expand its influence and power -- not only because of the potential legal and political headaches of doing deals with Somaliland -- but also because of a paucity of critical resources and human capital. These deficiencies were partially alleviated with the entry of the Arab Gulf States to the region, especially the coastal zone beginning in the late 2000s in an effort to secure favorable trade and resources, as well as curtail Iran’s growing presence. However, it was the Yemen crisis that led Saudi Arabia to announce the beginning of a pan-Arab military operation to roll back the Iran-backed Houthis and restore the government. Saudi Arabia and the United Arab Emirates (UAE) -- the two principal military members of the coalition -- initially used Djibouti as a support hub for operations in southern Yemen. Yet difficult relations with Djibouti led the UAE, in 2015, to sign a lease with Eritrea for its Hanish Islands and facilities at the port city of Assab for 30 years. The deal with Eritrea panicked Addis Ababa, with Ethiopian leaders viewing any expansion of Eritrean power as a corresponding loss of power for Ethiopia. Ethiopia dispatched officials to Abu Dhabi to plead for a shift in focus to Somaliland’s port of Berbera. Ethiopia’s diplomatic push and offer of economic incentives in the form of export/import traffic, coinciding with an increased UAE focus on stemming the flow of weaponry into Yemen, led to Addis Ababa’s desired results when DP World signed an agreement to develop and manage Berbera Port for 30 years in May 2016. It is unlikely that DP World would have signed the deal over Berbera if it did not see at least some long-term commercial benefit and there appear to be strong economic incentives for both Ethiopia and Somaliland. For example, Dubai will reportedly support Somaliland’s fisheries industry; help build the road between Somaliland and Ethiopia; and build a Free Zone at the Berbera port. The port will be supported mainly by the export of livestock and import of goods to both Somaliland and Ethiopia. However, there are also military and political dimensions to the tripartite agreement. Separate to DP World’s deal, Somaliland’s government agreed to the establishment of a UAE military installation at Berbera. The base, only 90 kilometers from the shores of Yemen, is intended to help the UAE forces tighten its blockade against Yemen. Politically, the Berbera Port deal has been groundbreaking. At the stroke of a pen, Somaliland took a massive step towards international recognition and permanent separation from Somalia. While neither Ethiopia nor the UAE have voiced recognition, the deal inked in Dubai certainly makes it seem that way if the anger in Mogadishu is any indication. Somalia Federal Government ministers have publicly challenged the right of Somaliland to enter into official agreements with any country. The Ethiopian-driven deal means that Mogadishu’s claims over the breakaway territory have weakened substantially. The deal means that Somaliland has partially broken the glass ceiling of international recognition by entering into substantive deals with viable business partners and states operating on the global stage. Mogadishu can no longer pretend it controls the government in Somaliland’s capital Hargeisa. Regardless of the dissatisfaction in both Somaliland and Somalia surrounding the UAE’s deal with Hargeisa, Ethiopia has engineered -- largely behind the scenes -- access to another port, thus enhancing its security and strategic economic interests. The reality is that with the growth in annual volumes of Ethiopian transit cargo -- over nine million tons in 2011 -- Ethiopia has long required alternative routes for its cargo from Djibouti. With the signing of the port deal, the slowly-dying port of Berbera will see investments totaling US$442 million for the management and development of a “world-class, multi-purpose deep seaport project.” The UAE has also reportedly agreed to build a modern highway between Berbera Port and the Somaliland / Ethiopia border town of Wachale / Wajaale. This will link with the modern highway on the Ethiopian side of the border. Additionally, when the deal was signed between DP World and Somaliland, Ethiopia ensured its substantive presence in the running and development of the port in the form of Ethiopian Shipping Lines. ESL will reportedly control 19 percent share in the deal -- almost twice as much as it initially expected to receive. This was partially confirmed later by Hussein Ige Dayr, a spokesperson for the president of Somaliland, who noted, that DP World had allocated close to one-fifth of the port’s capacity for Ethiopian shipments (JOC). Somaliland Foreign Minister Saad Ali Shire further confirmed the percentage, noting that DP World sold 14 percent of its shares to Ethiopia with the government of Somaliland selling five percent of its shares to Ethiopia. Lastly, Ethiopia was able to engineer a formal, legally-binding agreement between the de-facto but unrecognized, independent state of Somaliland and the UAE. In doing so, Ethiopia further ensured the continuing Balkanization of Somalia and potentially paved the way for eventual de-jure, international recognition of the Republic of Somaliland.